Sounds Like: The spunky, intense little sister of Iris DeMent, Natalie Maines and Nanci Griffith For Fans of: Trenchant, mountain-grown bluegrass with a smattering of chilling murder ballads Why You Should Pay Attention: Emilie Sunshine Hamilton is a mind-bogglingly talented adolescent who writes intense Appalachian folk tunes in the Carter Family tradition and sings them with wisdom and ferocity. 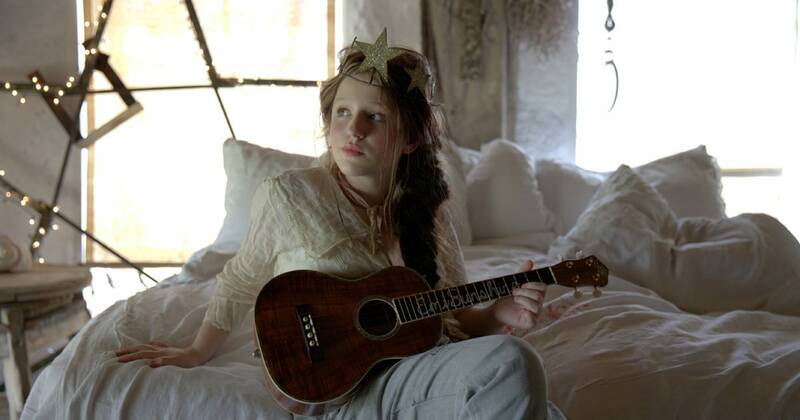 Since she was 10 months old she’s been able to harmonize, and she wrote her first song at age five, recording two albums by the time she turned seven. With Ragged Dreams , she has – with her mother, Alisha Hamilton – written a stunning album that’s driven by acoustic instrumentation and EmiSunshine’s plaintive, powerful vocals. In “Strong Armed Robbery,” the fearless 13-year-old plays a now-deceased victim exacting fiery revenge on her killer and banishing him to hell – which she delivers as a seven-syllable word. She Says: “I write about everyday stuff that happens. I have seen and experienced tragedy. I was in Gatlinburg [Tennessee] during the wildfires; I’ve witnessed friends in need who struggle with autism, depression and bullying. I write about the things that people don’t like to talk about and bring it to the surface. And … I do like scary movies; that’s where I get a lot of my song ideas. 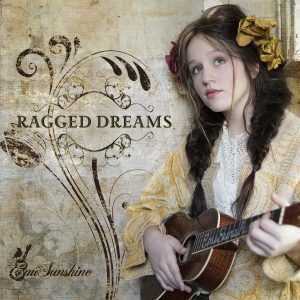 I like the ‘shock’ factor and I like to add ‘shocking moments’ and lyrics to my music.” Hear for Yourself: For a girl barely in her teens, “Ragged Dreams” paints a stark, and indeed quite shocking, picture of heartache and loss. ” Sorrow never leaves until you set it free / It eats just like the cancer, it was the death of you and me ,” she sings. S.B. Emi is a force of nature! A once in a generation unique talent. She has created her own brand of music…loved by Loretta Lynn, Tanya Tucker, The Jerry Garcia Foundation… compared to Janis Joplin, June Carter, Dolly. Vince Gill called her “wickedly, giftedly talented” last month in Nashville when she sang with the Time Jumpers…. she was featured in a documentary premiered at Cannes this year, where she also performed. Truly like no other. She is amazing!!! A Pro among Pros! 🙂 I have been keeping up with her very closely for going on 5 years now,…she is the Best of the BEST!! She WILL be a legend in her own time,…………..for many reasons!! She has a healthy grip on understanding this thing we call life, the good and the bad,……… She approaches both with heart and empathy, and soul, then turns it into words, that she expresses to us all,…so beautifully,……….. Wait till she turns 14. I have been following this young lady since she was 9 and am amazed at how much her talent has grown. EmiSunshine is fearless on stage. As a writer, I am fascinated with the style she is writing in. So thank you EmiSunshine for bringing light to the true American art form – the Appalachian Folk Song filled with mysterious stories that are so much more interesting than pop music today. Just can’t help going back to listen to Emi. Been listening for ages on u tube.